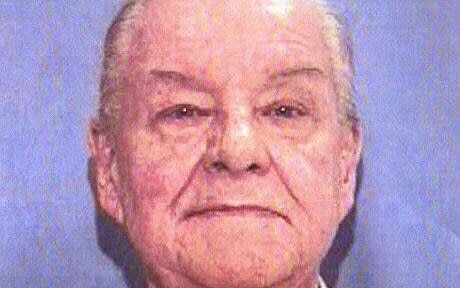 WASHINGTON (AP) — An 88-year-old white supremacist has been charged with murder for killing the security guard who had opened the door to let him into the U.S. Holocaust Memorial and Museum, officials said Thursday. Security Guard Stephen T. Johns was shot to death Wednesday by Holocaust denier James von Brunn, who had left his car in a lane of traffic outside an entrance to the museum before walking in with a concealed rifle, District Police Chief Cathy Lanier said at a news conference. Von Brunn, who once tried to kidnap members of the Federal Reserve, started shooting immediately, exchanging fire with guards who shot and critically injured him, stopping him from entering the museum and hurting anyone else, Lanier said. In his car, officers found a notebook with a handwritten note saying, “You want my weapons — this is how you’ll get them. The Holocaust is a lie. Obama was created by Jews,” according to a court affidavit. Bouquets of roses, lilies and other flowers had been left outside the museum walls Thursday morning. The entrance where the shooting occurred was still cordoned off by police tape. Von Brunn was being treated at a Washington hospital. A self-described artist, advertising man and author living in Annapolis, Md., von Brunn wrote an anti-Semitic treatise, “Kill the Best Gentiles,” decried “the browning of America” and claimed to expose a Jewish conspiracy “to destroy the White gene-pool.” He also wrote of a lifetime of seething anger. Von Brunn was charged with murder and killing in the course of possessing a firearm at a federal facility, both capital offenses under federal law, and authorities said Thursday hate crime charges were also possible. The Homeland Security Department called the shooting a criminal incident and said it does not appear to have a connection to terrorism, according to a joint Homeland Security and FBI assessment issued Wednesday. The assessment, obtained Thursday by The Associated Press, said von Brunn is associated with right-wing extremism. Persichini said Thursday that authorities found many documents in von Brunn’s vehicle and that any people or places named in them have been contacted or visited. He said he would not characterize it as a list. Outside the museum, authorities searched von Brunn’s car for explosives, but found none. A court affidavit describes the shooting at the museum in detail and says it was captured on security video. FBI agent Ronald Farnsworth said in the document that for the past two years, von Brunn has been living with his son and his son’s fiancee in Annapolis, Md., renting a room from them for $400 a month. FBI agents searched von Brunn’s bedroom and found numerous papers and a 30/30 rifle. Investigators are trying to determine how von Brunn acquired the .22-caliber rifle used in the attack, said two other law enforcement officials, also speaking on condition of anonymity. Israeli officials and U.S. Muslim and Hispanic groups all expressed shock at the attack, which unfolded in a public space filled with records, photographs and exhibits standing as stark testament to the Nazis’ killing more than 6 million Jews in the Holocaust of more than a half-century ago. Johns, the guard who died, was black. The museum was crowded with schoolchildren and other tourists, but all escaped injury. Ashley Camp, 14, of Forsyth, Ill., on a field trip with more than 40 other students, said she heard two or three gunshots. Soon after, a security guard ordered the group to run to the exit. Law enforcement officials said von Brunn’s car was found near the museum and was tested for explosives. They spoke on condition of anonymity, saying they were not authorized to discuss the investigation. Von Brunn was sentenced in 1983 for attempted armed kidnapping and other charges in his 1981 bid to seize Fed board members. A guard captured him outside the room where the board was meeting. He had a revolver, sawed-off shotgun and knife in a bag with him. He served more than six years in prison. Von Brunn is a native of St. Louis, a World War II veteran who served in the Navy for about 14 years, worked in advertising in New York City and moved to Maryland’s Eastern Shore in the late 1960s, where he stayed in advertising and tried to make a mark as an artist. He was living in New Hampshire the year of his arrest at the Fed headquarters. Public records show that in 2004 and 2005 he lived briefly in Hayden, Idaho, which for years was home to the Aryan Nations, a racist group run by neo-Nazi Richard Butler. Civil rights groups were familiar with his virulent history. His Internet writings say the Holocaust was a hoax. “At Auschwitz the ‘Holocaust’ myth became Reality, and Germany, cultural gem of the West, became a pariah among world nations,” he wrote. The attack is “further proof that anti-Semitism and Holocaust denial have not passed from the world,” said Israel’s information and Diaspora minister, Yuli Edelstein. The attack was the third unsettling shooting that appeared to have political underpinnings. A 23-year-old Army private, William Andrew Long, was shot and killed outside a recruiting office this month in Arkansas and a fellow soldier wounded. The suspect, a Muslim convert, has said he considers the killing justified because of the U.S. military presence in the Middle East. Late last month, abortion provider Dr. George Tiller was shot to death in his church. The man accused of killing him is a longtime vocal opponent of abortion. The announcement came against the background of rising tensions with the Obama administration, which has demanded that Israel freeze all settlement construction in the West Bank. The Netanyahu government insists that construction within existing settlements should continue. In another point of contention, Mr. Netanyahu has refused to endorse explicitly the notion of establishing an independent Palestinian state, a cornerstone of American and European policy on the Middle East. President Obama’s Middle East envoy, George J. Mitchell, is expected in Jerusalem and other parts of the region this week. “The president has told me to exert all efforts to create the circumstance when the parties can begin immediate discussions,” Mr. Mitchell was quoted as telling a Palestinian donors’ conference in the Norwegian capital. “It’s important that there is a building of institutions and governmental capacity so that at an early time there can be an independent and viable Palestinian state,” he said. His government, led by the conservative Likud Party, was sworn in nine weeks ago. Mr. Netanyahu says he has been reformulating Israeli peace policy. Some Israeli commentators have wondered how Mr. Netanyahu, whose last government fell apart in 1999, seemingly returned to office without a clear agenda. Israeli officials say they expect the Obama administration to respect understandings they say were reached — some written and some oral — with the Bush administration on building within existing settlements. The Obama administration has bluntly dismissed Israel’s argument. Secretary of State Hillary Rodham Clinton said Friday that “there is no memorialization of any informal and oral agreements” on construction in settlements. “If they did occur, which, of course, people say they did, they did not become part of the official position of the United States government,” she said. The road map, a 2003 peace plan, called on Israel to freeze all settlement activity and on the Palestinians to dismantle terrorist networks. The goal was the creation of a Palestinian state. 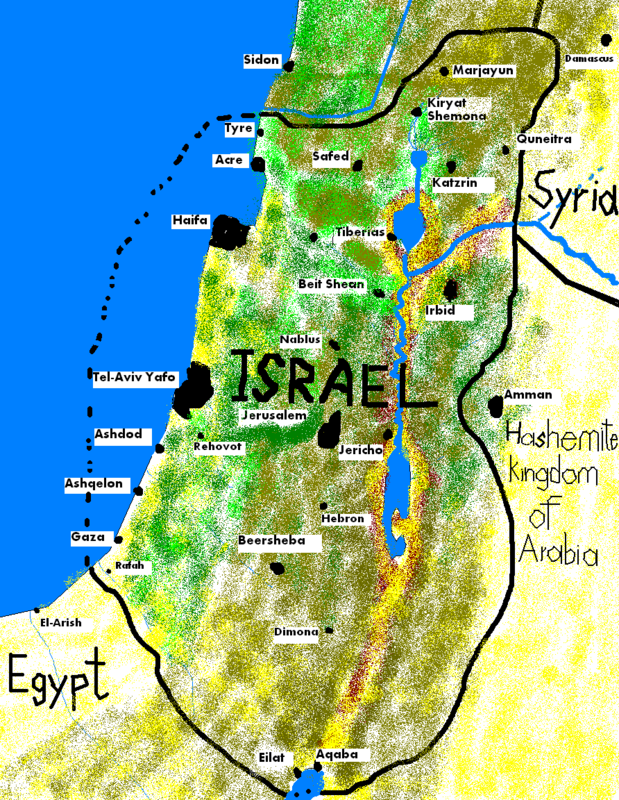 Mr. Netanyahu has said his government will abide by signed agreements, but he has not publicly endorsed the road map. Israeli officials emphasize that the Palestinians and Arab parties, and not only Israel, have obligations to fulfill, a point also made by President Obama on Friday. In Germany, Mr. Obama said the Palestinians “have to continue to make progress on security in the West Bank” and deal with “corruption and mismanagement” within the Palestinian Authority.